Rheumatoid Arthritis Linked to Periodontal Disease? Rheumatoid arthritis (RA) is a systemic autoimmune disease which causes inflamed and stiff joints, severe pain, fatigue, and other moderate to severe symptoms. It’s estimated that 1.5 million in the United States suffer from this debilitating disease responsible for deformed joints and bone erosion. Doctors once thought that periodontal disease was a result of RA due to severe pain in the patient’s hands inhibiting them from practicing proper oral hygiene. They also surmised that the medications used to treat RA might affect the body’s ability to fight harmful bacteria in the mouth. However, the correlation between the two seems more complicated than hand discomfort or effects of medications as research has also shown a genetic link between the two. 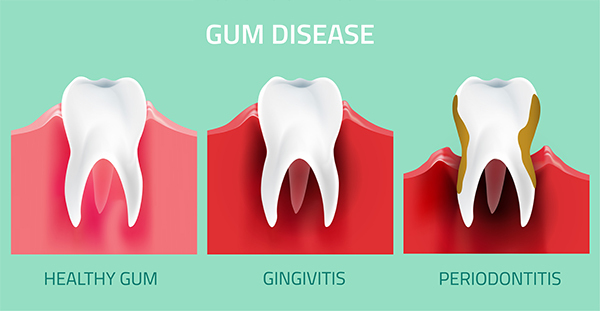 In general, periodontal disease seems to be a key indicator of the presence of many chronic diseases such as heart disease, diabetes, kidney disease, and some cancers. Inflammation and the body’s response are the key factors in these diseases. As studies continue and there’s a better understanding as to what causes RA, improved treatment options and perhaps preventative steps can be taken to fight this crippling disease. The bottom line is that clinicians must be aware of RA and its relationship to periodontal disease. Patients with RA must be given proper hygiene instruction and any special aids (Power Brushes, Oral irrigators, mouth rinses, etc.) to help them practice proper oral hygiene. They should also be placed on a three-month recare schedule to keep the inflammation under control. Working together will assist in protecting patients from the oral effects of RA. Unpleasant but necessary, numbing an area before dental treatment is highly recommended to make certain that the treatment goes quickly, successfully, and most importantly, painlessly. Anesthetics are used daily in dental offices and are rated by their safety, duration, and effectiveness and each has benefits and risks. Clinicians use the proper anesthesia based on the patient's medical history and the duration and invasiveness of the procedure. Before the actual injection, a topical anesthetic gel is applied to the area. This gel is responsible for numbing up to 2mm of tissue and keeps the insertion of the needle from being uncomfortable. Most dental topicals consist of Benzocaine 20% and are very effective when applied to the tissue and left alone for around 2 minutes. After the topical takes effect, the area is injected with a local anesthetic which numbs the tissue and the teeth. Although most patients refer to all dental anesthetic as Novocaine, newer and more effective anesthetics have evolved posing fewer complications such as allergic reactions. Lidocaine is the most popular choice of anesthetic because of its effectiveness, safety, and medium duration of action. Numbness from Lidocaine usually lasts for 2-4 hours. Articaine – Articaine is probably the most effective local anesthetic available today and is surpassing Lidocaine in popularity because of its effectiveness. Like lidocaine, it has a medium duration of action. However, because it’s much more concentrated than Lidocaine, less can be used safely. Bupivacaine is a local anesthetic mostly used in oral surgery because it has a very long duration. 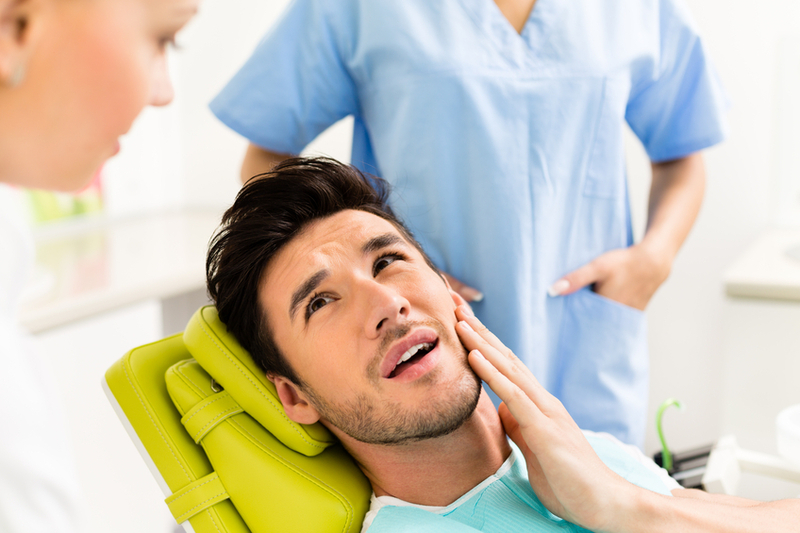 Oral surgeries such as wisdom teeth extractions and implant placements can take an extended period, so Bupivacaine is the anesthetic of choice to keep the patient comfortable. Local anesthetics enlarge the blood vessels which increases bleeding, and excessive bleeding decreases the field of sight. For this reason, a vasoconstrictor (epinephrine) is added to constrict the blood vessels which decreases bleeding and makes the anesthetic last longer. Although patient’s dislike getting a dental injection, the effects don’t last too long and being numb during the procedure is certainly worth a few uncomfortable minutes while the anesthesia is placed. Oral irrigators have become increasingly popular because of their success in disturbing plaque biofilm. Patients must receive proper instruction regarding their use and maintenance to prevent injury and infection. Below are guidelines for daily use and maintenance. Recommend the Proper Tip- there are many tips available for use with an oral irrigator. The recommended tip is based on the patient’s condition and failing to use the suggested tip can cause injury. Periodontal Tip Usage- Patients with periodontal disease should be instructed on how to use a periodontal tip which is designed to allow access up to 90% of the pocket depth. It’s inserted subgingivally and has a soft rubber tip with a small opening that controls the amount and pressure of the water and antimicrobial entering the pocket. Before turning the unit on, place the tip gently into the pocket at a 45-degree angle, and then turn it on low pressure. Add the Recommended Microbial- an antimicrobial increases the effectiveness of irrigation and can be used full strength or diluted with water. Recommendations depend on the patient’s condition and tolerance. Proper Use- the patient should be shown how to position the appropriate tip at a ninety-degree angle to the long axis of the tooth and three millimeters from the gingiva. The tip should be swept along the gumline and paused for five seconds interproximally. This process should be followed on the facial/buccal and lingual surfaces. The tip should never be pointed down into the gingiva unless using a periodontal tip. Water Pressure – most devices have adjustable water pressure. Patients must begin using a lower pressure (about 3-4) to get accustomed to irrigation. After one week, they should be able to increase the pressure (7-10). However, those with sensitive gums or using a periodontal tip will need to use less pressure. Choose the Right Unit- there are many different units available on the market and guidance is necessary to ensure that the patient purchases one that matches their needs. Irrigate Daily- Consistency is the key in improving oral health. Microbes form very quickly, and they must be fought daily for maximum benefit. Mind the Mess- A water jet causes a huge mess if not used correctly. Placing the tip in the mouth and against the tongue before turning it on is necessary to avoid a disaster. Also, keeping the head down during the entire session will help diminish the mess. Some models have a water control button on the handle which helps tremendously. Don’t Forget to Brush and Floss- An oral irrigator is an adjunctive therapy. Brushing at least three times and flossing at least once per day is crucial for maintaining a healthy mouth. Maintenance of the device on a monthly basis is necessary to establish the irrigator is safe for daily use. Bacteria, fungi, and viruses can easily contaminate the unit if it’s not cleaned on a regular basis. Also, using tap water can cause mineral and other unwanted deposits to build up over time. Certain parts can be placed in the dishwasher to achieve disinfection. Below are the steps to clean a countertop device. Portable or cordless models should be cleaned monthly by following the manufacturer's instructions. Clean the exterior with a non-abrasive product and a soft cloth. Clean the reservoir by removing it if it’s detachable. If it has a removable valve, take it out and rub gently under warm water. The reservoir can be placed in the top rack of the dishwasher and air dried. Don’t place the valve in the dishwasher. Clean the internal pieces by placing 16oz of warm water with two tablespoons of white vinegar into the reservoir and turning it on high pressure until all the solution is flushed through. Clean the handle by soaking it in one-part white vinegar and two parts water for 7-10 minutes. Clean the flosser tip(s) by removing it from the flosser and soaking in one-part peroxide and two parts water for about 5 minutes. The flosser tip should be replaced every 3-6 months depending on the hardness of the tap water. Never leave water in the reservoir overnight. Always run some hot water through the unit after each use. An oral irrigator is a great investment for every patient provided they’re instructed on usage and maintenance from a dental professional. Patients with orthodontic appliances, implants, crown and bridge, diabetes, gingivitis, periodontal disease, and those whose oral and overall health is less than ideal can certainly benefit from daily use. Oral irrigators have become increasingly popular because of their effectiveness in disturbing plaque biofilm. In this blog, the types of irrigators and tips are discussed. Electric or Cordless- the power source is a traditional electrical plug or a rechargeable battery. Full size, Compact, or Travel- various sizes are available depending on the user’s lifestyle. Removable or Fixed Reservoir- refers to whether the reservoir can be removed from the unit. Removable is best to allow for proper cleaning. Pressure Control- most units allow the user to adjust the amount of water pressure. Pulsed Flow- This is the most common unit on the market. The water is compressed and decompressed causing bacteria and debris to become disrupted and removed supra and subgingivally. Steady Stream- The water comes out in a steady stream without the pulsation. Magnetized- The water is charged thereby reducing the formation of calculus. However, studies suggest that this type of unit doesn’t decrease gingivitis and bleeding. Oxygenized- The water is incorporated with air which produces bubbles to disturb plaque and anaerobic bacteria. This, in turn, reduces gingival inflammation and bleeding. Standard Tip- This tip is the most common and is used supragingivally daily to remove food particles and disrupt plaque biofilm. It allows the water to reach 50% of the pocket depth. Periodontal Tip- This specialized tip is designed to allow access up to 90% of the depth of the pocket. It’s inserted subgingivally and has a soft rubber tip with a small opening that controls the amount and pressure of the water and antimicrobial entering the pocket. The patient must be instructed regarding use and must have sufficient dexterity. Orthodontic Tip- Used around orthodontic appliances to effectively remove food particles and disturb plaque biofilm, this tip is also recommended for patients with sensitive gums. Combination Sonic Toothbrush and Irrigation Tip- this hybrid tip is excellent for plaque removal and irrigation at the same time. It’s recommended for all patients but especially ones with limited dexterity. Tongue Cleaning Tip- this tip assists with halitosis by reducing the number of bacteria on the tongue. Recommended for all patients but especially those with elongated papillae. Restorative Tip- this tip is recommended for patients with implants or crown and bridge that may not respond to traditional methods of oral hygiene. Implants, crowns, and bridges may be difficult to access because of their shape and positioning. Nasal Tip- Used for flushing the nasal passages. 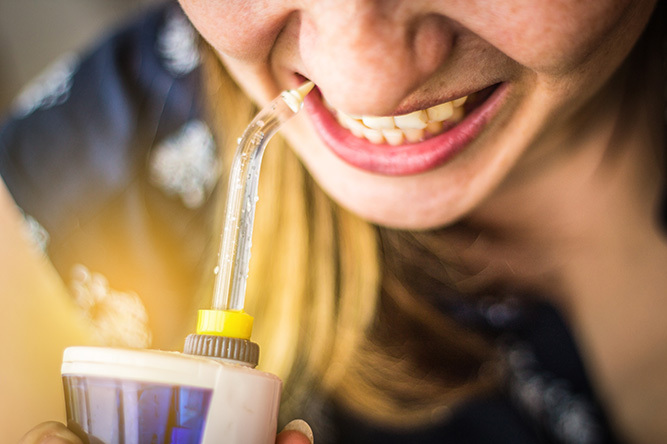 In the next blog, we’ll delve into proper use and care of oral irrigators. Oral irrigators have become increasingly popular because of their success in disturbing plaque biofilm. Furthermore, the addition of an antimicrobial to the water makes using an oral irrigator more effective. By disturbing the plaque biofilm and delivering an antimicrobial above and below the gumline, reduction in bleeding, inflammation, and periodontal pocket maintenance can be achieved. Today, we will focus on the use of antimicrobials in the water. Phenolic Compounds- these over the counter rinses contain essential oils and varying other ingredients such as alcohol, hydrogen peroxide, and fluoride which have been proven to reduce the bacteria responsible for bleeding and inflammation especially when the rinse is used full strength. Stannous Fluoride- stannous fluoride is excellent in decreasing bleeding and inflammation. It’s also great for decay and tooth sensitivity when used in toothpaste. Hydrogen Peroxide- hydrogen peroxide is very efficient at targeting harmful anaerobic microorganisms that thrive in pockets because it introduces oxygen into the area. Chlorohexidine- a one to one ratio of water and Chlorohexidine has been shown to diminish inflammation and bleeding significantly. Chlorohexidine is only available by prescription and is the most powerful antimicrobial rinse on the market. However, simply rinsing with this product doesn’t reach more than one or two millimeters below the gumline. Its effectiveness is increased when added to the irrigator because it goes deeper subgingivally. Stay tuned for part 3 of this blog series as we’ll look at the types of irrigators and tips.